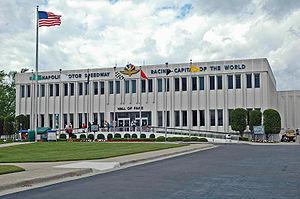 When the Alco Black Beast arrived last month for its parade lap at the Indy 500 Race, it was stored in the famous basement of the Indianapolis Motor Speedway Hall of Fame Museum. Due to the significant size of the Indy collection, a large number of cars are stored in this basement which is strictly off--limits to the public. 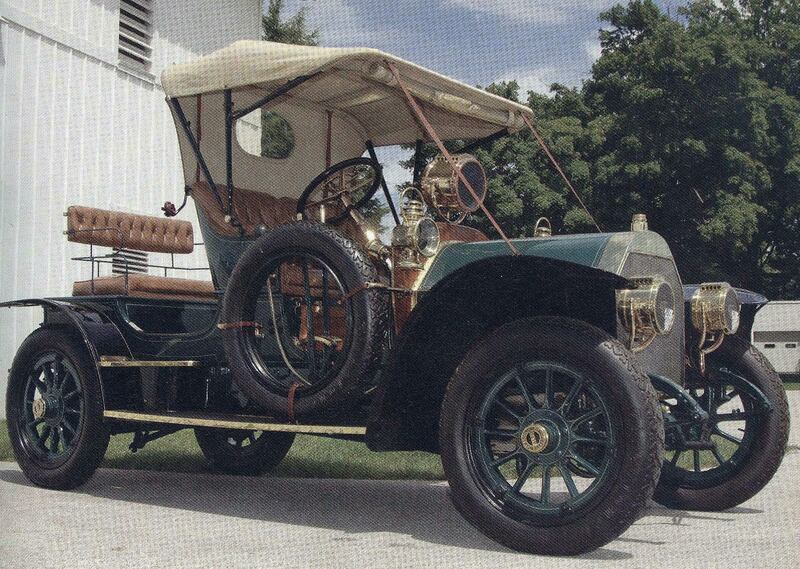 Among the spectacular cars in the basement, I was amazed to find a 1909 Alco Touring Car. Since photography is not allowed in the basement, I began a search to further document an image of the car. I was fortunate to find a discussion of Alco automobiles on indianarailroads.org. Sharpy1 suggested a 2006 issue of Trains magazine may be helpful. 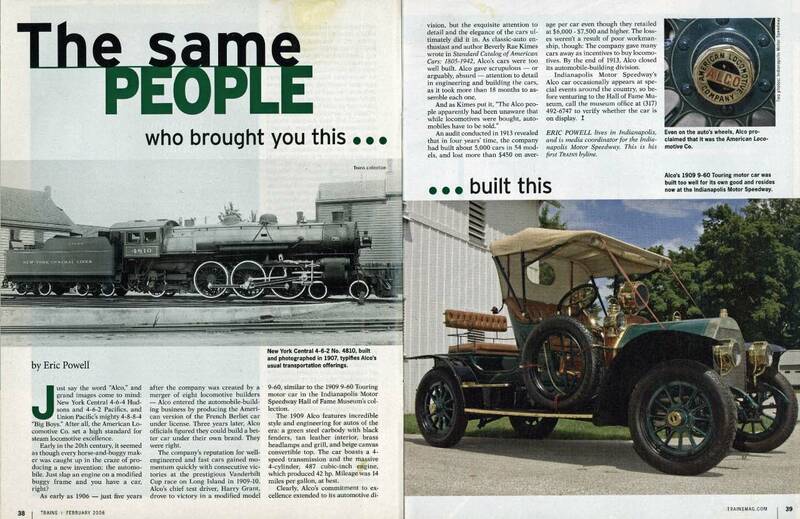 Eureka, the February 2006 issue included an article on Alco automobiles by Eric Powell, formerly media coordinator for the Indianapolis Motor Speedway, and a photo of the car. In late 2011, this Alco was sold or traded by the museum to a private collector. Trains February 2006 Article "The same people who brought you this ....built this"